Tom Ford's just launched his new Lip Contour Duos globally, and these are priced at $76 in Singapore, the same as the regular lipsticks. 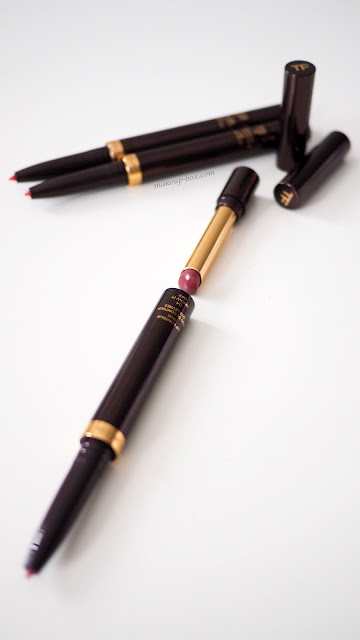 These slim, sleek tubes come in the signature TF brown with gold details, and one end has a cap protecting the twist-up liner, while the other end has a detachable lipstick tube holding a creamy shade of the same color. In a sense these are more of convenient lip-to-go duos comprising of matching liners and creamy lipsticks, rather than contouring products, which to me refer to products with shade and light, to alter the contour of features. 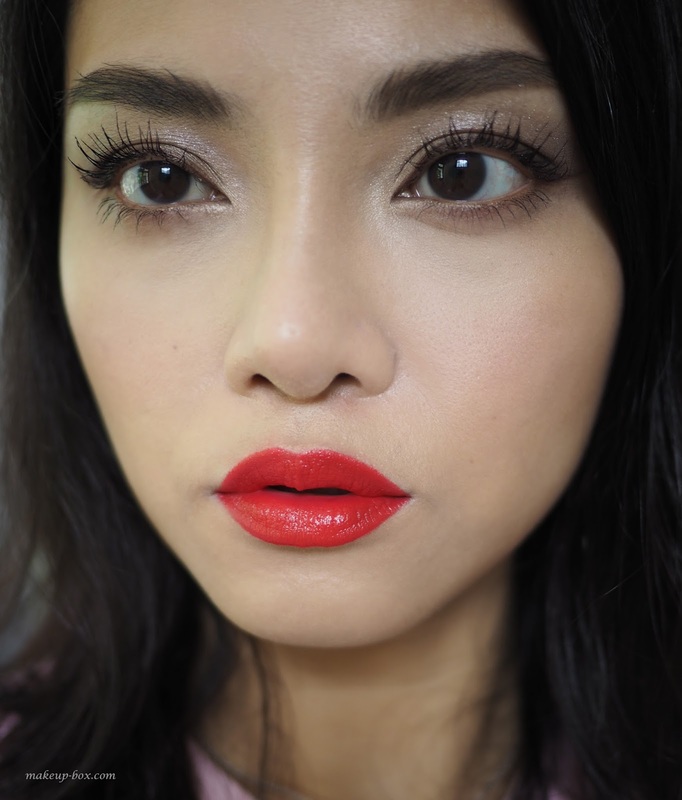 These lipsticks and liners are pretty much the same shade; in fact the liners are a hair lighter than their companion lipsticks, so don't expect to create ombre lips or 3D lips with these. That's not a problem to me. I personally don't like the look of a dark lip line, and when it comes to ombre lips I usually play with tone (rosier in the center, more neutral around the outsides) rather than dark and light. The formula of the lipsticks is extremely smooth and creamy; super comfortable to wear, as you would expect from a lipstick that is this price. Coverage is pretty good; these are not sheer lipsticks. 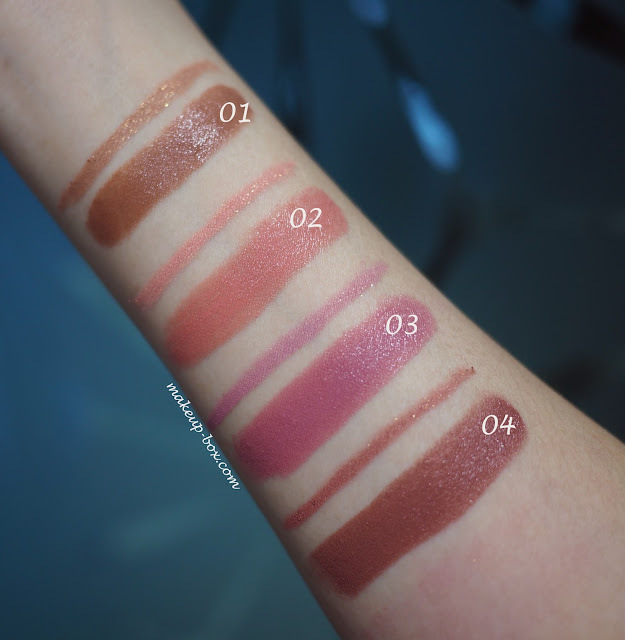 As for the liners, they are a creamy-matte texture and can work on their own as matte lipsticks, but be aware that they all contain a subtle sparkle and have flecks of gold in them, which I don't mind but find a bit curious. They do an adequate job of preventing bleeding and smearing into lip lines. I do also really like 03 and 05, but as far as neutrals go the deeper rosier browns are more my style (and just more flattering in general), especially if you like the brown-rose 90s lip. And for the brights, I think 06 and 07 are really vibrant and especially pretty. 08, the deep plum would be the only shade I find somewhat patchy compared to the rest. It's a deeper color, and the formula is not quite able to build up to opacity without a full layer of lip liner beneath. Which is fine since there is a matching liner. But I would rather a $76 lipstick not require me to apply a full layer of liner as a base if I don't feel like it. 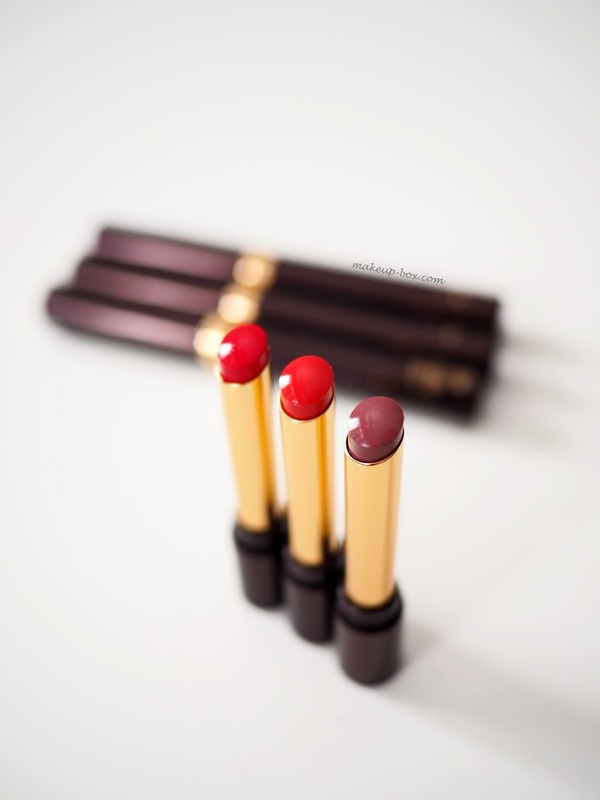 And here are the three shades swatched on the lips! What are your faves from this range? Thanks for this review! What are you wearing on your eyes? I love this look. 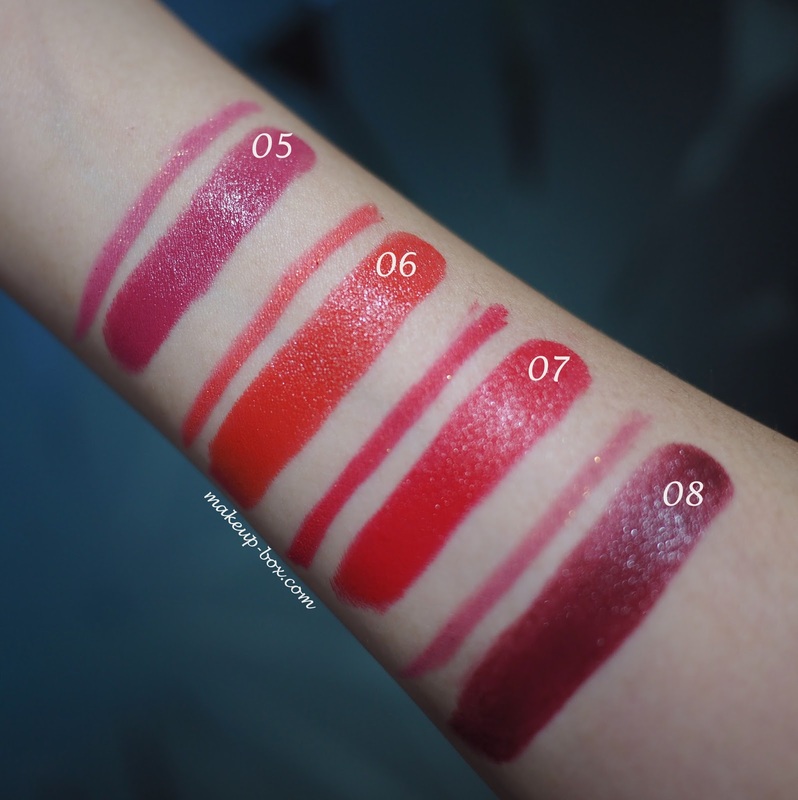 Rouge Dior Fall 2016 "It" Shades swatched!